Founder of Bemeir LLC. Magento Developer. Multiple Magento Certifications to his name. A family man. On the surface, Maier Bianchi is the perfect person to follow if you want a career in Magento development. But there’s much more to him than that, so dive into the interview to get to know his Magento mind! Muneeb: Maier, please introduce yourself and share a little background information with our readers. Maier: My name is Maier Bianchi and I’m from Brooklyn, New York. I was first exposed to retail and ecommerce through my parents’ halloween store. Growing up, I was always into computers and technology. I had a strong interest in design and eventually started working on coding websites. I’m a family man with 4 kids, and juggling it all makes it a 24/7 cycle. I enjoy working in web development and technology because it allows you to use creative solutions to solve every day challenges for people in a way that directly connects with the results of their businesses. Muneeb: What difficulties did you face as the founder of Bemeir LLC in developing it and how did you tackle them? Maier: Founding Bemeir LLC has been a very exciting time to say the least. Starting a company is simple nowadays and you can do everything online. The company was originally called MageNYC in 2014 and we rebranded it in 2016 to Bemeir LLC. The challenge of how to position your company and to what markets can evolve over time. The key challenges we faced on the way were how to scale the company and grow a team. It became clear early on that it was better to work with a bigger group than as a solo freelancer. However, if you are a self-funded single member LLC there is only so much you can do if you are not hiring employees vs working with freelancers. Working with people from across the globe is empowering but also can be challenging when you are working with people you may have never met in person before. This includes clients. The way I approach issues and solving them at Bemeir is to remind myself that this is a process and as long as you clearly define what the target is, you can slowly build towards that goal. Often I have looked back and realized that it’s about taking small steps every day. Whether it’s studying, experimenting, planning, writing, or researching, if you are consistent with it, it has a big impact. Muneeb: Which key points do you think every developer must implement before starting development? Maier: I think there are a few ways to approach this question. You should try to have a good set of tools ready for the job. Then it is down to how you approach the project. It is important to always keep in mind the end goal of what you are trying to build with your end user in mind before you begin. This includes having an understanding of the workflow and what steps you will take, and how you will validate and or secure what you create. To me, it is about ensuring the right end result in the right timeframe while following best practices. This helps you hone in on what is required to get the task done and to help block distractions. Muneeb: How useful are certifications (since you have several) and how do they help in your career growth? What advice would you give to our readers who want to get these certifications? Maier: Magento certifications are a good measure of someone’s familiarity with Magento and if they know the key concepts involved. This is not everything, though, as there is much more to the story. For me, personally, they have a specific meaning to each point in my career where I obtained them. In 2014, I signed up for the newly released Frontend Developer Certification and I passed. It was a bittersweet moment as it meant a lot to me professionally that I had learned enough practical knowledge to pass the test, but at the same time was going through a personal loss. Fast forward to 2016 when I was on paternity leave and things were a little uncertain at work. I was concerned for my future prospects and so I decided to sign up for the Magento Certified Solution Specialist exam because I wanted to put to paper that I was indeed very experienced with Magento. Finally at Imagine in April 2017, I decided to take the Magento Certified Developer Exam on the recommendation of Paul Rogers. I felt I was ready to apply this knowledge, so I did a lot of studying, took the practice tests, and passed the exam. I was now working for myself, running Bemeir LLC as an independent business, and having a third Magento certification that I knew would be a great addition to my profile. For me, the certification is just as important as your journey to getting the certification. Most importantly, I know that this journey of learning never stops – as there is the Plus certification and obviously the Magento 2 certifications that are being released, which is kind of de-facto reset button as we transition to a Magento 2 focused world. I look forward to taking the Magento 2 Certified Solutions Specialist exam in October when it comes out. My advice to everyone interested in getting certified is get a copy of Magento and use it for practical applications in real world business scenarios. Don’t just read the guides but study the practice material as it covers the tests well. Try to attempt practice exams. I firmly believe that this can be a differentiator just like with any standardized test. Lastly, you can have all the certification, but if you never spend time working hands on with merchants and other developers on Magento sites with real consequences, you are missing out on the real meaning of being certified. I encourage everyone who is employed in a Magento related job to talk to their employers about helping with their education and certification. Having the support of the companies I worked for was a key factor in my certifications journey. 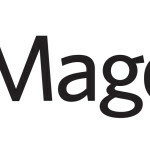 Muneeb: Do you attend Magento Community Events? What are your views on these events? Maier: Yes, I love attending Magento Community Events. I went to the first Imagine in 2011, Innovate, Imagine 2014, Imagine 2017, MMNY14,15,16, Mage Titans USA 2016, and have attended two different Magento meetups in New York City. I have also founded the Brooklyn Magento Meetup last year and am looking to hold the first meeting soon as the member base is up to almost 50. Brooklyn is a very important city in American history and is the largest of the five boroughs. Even though we have other meetups here in NYC, the idea is to create a community where brooklyn based developers and merchants could connect around shared ideas and explore ecommerce together without having to travel to Manhattan. Muneeb: How would you differentiate Magento with other ecommerce platforms, and what was your reason behind choosing Magento? Maier: I ended up working with Magento as the company I was with at the time chose the platform to replace our SAAS platform Venda. This was back in late 2010 where there was a different landscape. 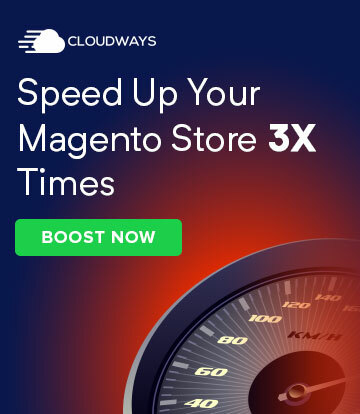 Magento was a breath of fresh air that allowed merchants to execute any strategy as long as they could develop or find a solution that met their needs. I grew to appreciate Magento because of the community, and because there are thousands and potentially millions of people working towards common goals and solutions. And because of this it created a dynamic where the platform could flourish. Magento Inc. did a great job shepherding this process and allowing it to exist, in a way I don’t think we have seen very often before. 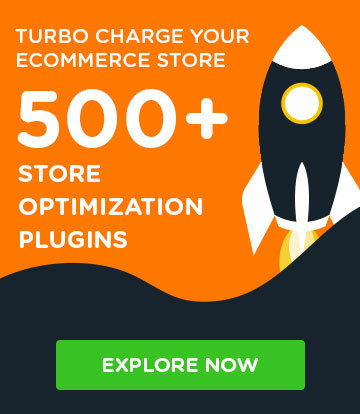 The reason is that anyone could use Magento for any purpose, and find a helpful set of modules and information left as a breadcrumb trail to those who walked the path before them. My affinity for the platform is borne out of my experience with it and knowing that in the right hands it can do anything. 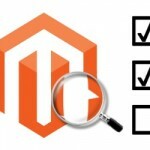 Over time it has become clear that Magento is not the greatest solution for everyone. There have been challenges around cost of deploying a Magento solution, and an economy where small businesses may not have the funds or apply the same perceived value to the services that a Magento developer can provide. This is where platforms like Shopify have been flourishing, because now they unchain merchants from technological reliance upon specialists and keep them more focused on their core delivery. As you go up into the enterprise, I find that many of the differentiating factors come down to underlying technology, scalability, and compatibility with legacy systems and service providers. 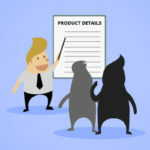 There are always complex business requirements that can be at odds with some of the out of the box technology requirements, or vice versa, there can be technology requirements that force a business to change their practices. At this current point in time, I see a world where Magento 1 has solidified its place as the best ecommerce platform to have ever come along in the landscape. Magento 2 has built off this foundation and due to the challenges around cost , is still finding its main niche in the landscape. They are consolidating technology within the platform and creating a strong enterprise suite. 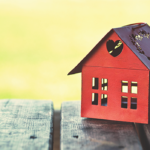 They will continue to thrive on big projects, but I wonder if the smaller community projects where a group of people could inexpensively build a custom platform. I am excited to see where this is going with 2.2 coming out soon. Shopify has shaken the landscape a little bit with Plus and newer platforms such as Shopware are expanding their customer base. Additionally there is a project called Sellvana that I hope one day will gain a bigger following as it is made by the same developer who helped create Magento initially. Muneeb: What do you love the most about your job? Can you please share a picture of your workspace? Maier: I love to help people solve their problems. I find that I get the most satisfaction when I know I’ve done a good job and the website owner is happy with their solution. I enjoy the challenges of problem solving using a combination of design, development, and existing modules and services to find the lowest cost but most scalable solution that best fits their needs. This is why I enjoy working with business owners who are into details and know what they want. It gives us a solid target to hit. Muneeb: Everyone has someone who inspires them. Name some people who have inspired you in your life. Maier: My children and my wife are my greatest inspiration as they give me a reason to work so hard. I have been inspired by my former bosses Kovid and Bill to grow as a developer and all around ecommerce professional. I am inspired by the successes of some of my friends and what they and their teams are able to accomplish. I’m referring to people such Boris from Unirgy and Eric from MageMojo, and Beth and Gentian from Shero Designs. They have been great friends whose own achievements have inspired my career. I also draw inspiration from my colleague Harpreet Singh from Ahy Consulting. He is a like-minded individual, and our working relationship shows that people from opposite ends of the world who have never met in person can use technology to bridge the gap and come together and help people. I also draw inspiration from my clients, most notably Samir, the founder of Soho Girl. He runs a brick and mortar operation and ecommerce business, 7 days a week, year in year out, demonstrating that hard work is the key to success. Muneeb: How do you spend your free time, and what are your hobbies? Maier: I spend my free time working a little more and spend time with my family. My hobbies include a local South Brooklyn Tours company we are developing, working closely with a local youth soccer programs on their technology and branding. I also like to attend New York City Football Club matches at Yankee Stadium in the Bronx. Recently, I have also begun to make merchandise and apparel. This is called the Bemeir x Everyone series. I have turned this into a neat project where I am using Shopify to integrate with a printing service. 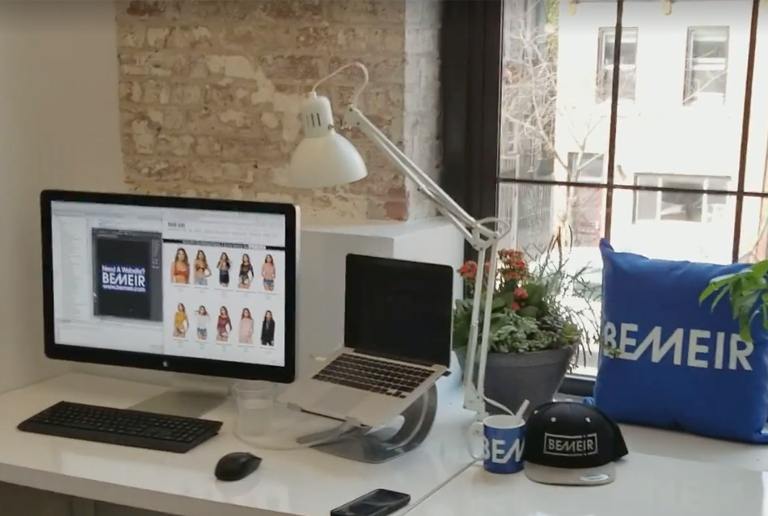 This gave me insight into the challenges that Shopify merchants face, and allows Bemeir to show an offering of products connected to our partners and friends and express a creative side, while showcasing what we can do for merchants. Muneeb: It was great talking to you and I hope you enjoyed the interview as well :) On a parting note, name some people who you would like to be interviewed next on Magenticians? Maier: Paul Rogers: He is putting out really valuable content for ecommerce merchants and doing some great Magento projects with M1 and M2. Eric Hileman, really interesting guy, developed Magento hosting, Magento extensions, MageSec.org, and Commerce Hero. Boris Gurvich: Original Magento developer, Founder of Unirgy, Founder of Sellvana – a VIP in the history of Magento and an interesting nice all around guy.